This was a public art commission for Gaelscoil Cholmcille in Coolock. 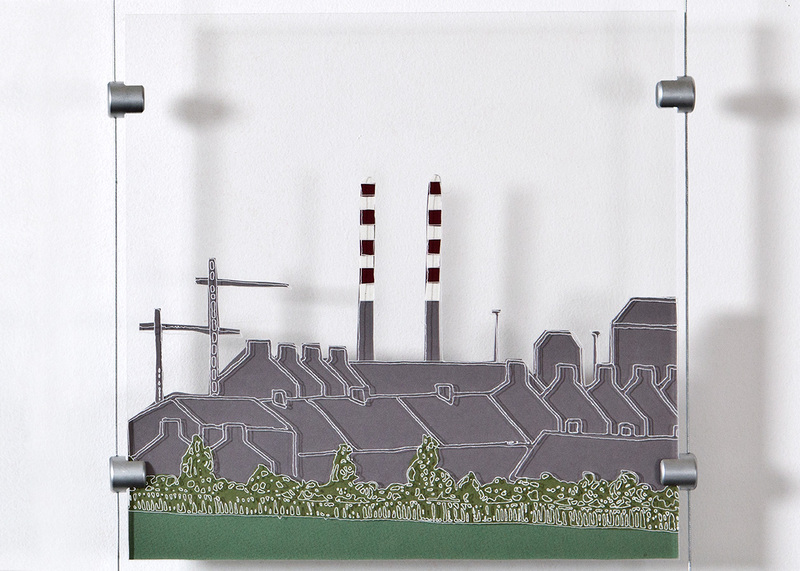 The piece details the story of Coolock from past to present and the changing environment from landscape to urbanscape through development and industrialisation. There are 4 columns with each column illustrating a different phase of that history. 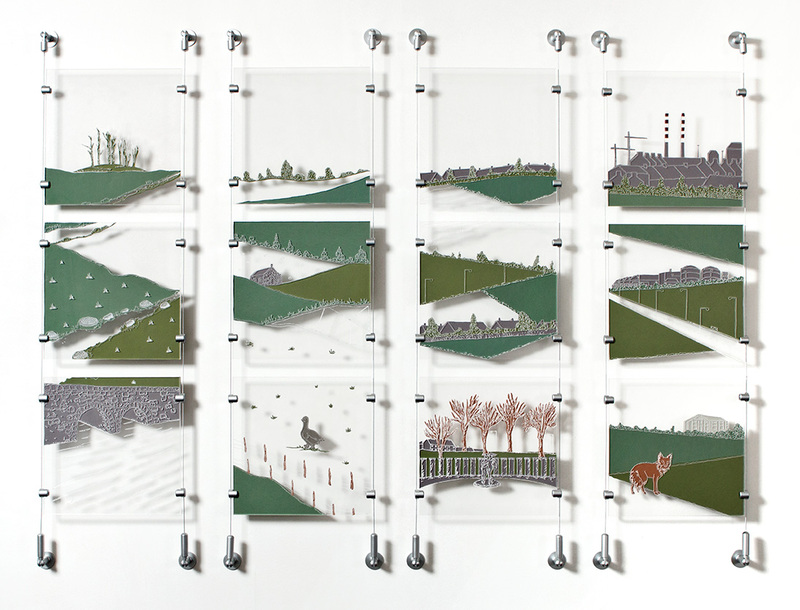 The piece consists of 12 plexiglass panels in total with each panel comprising of 2 pieces clasped together. 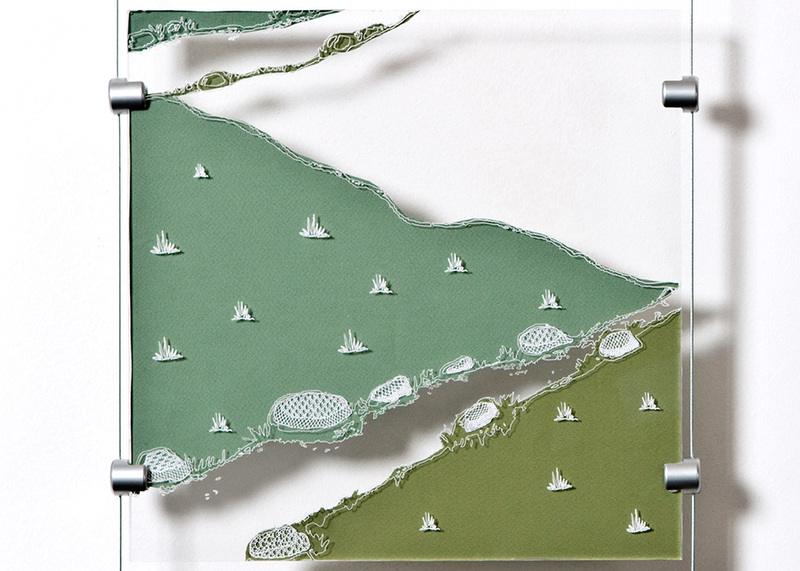 The artwork was engraved onto the surface of the plexiglass using a CNC router. 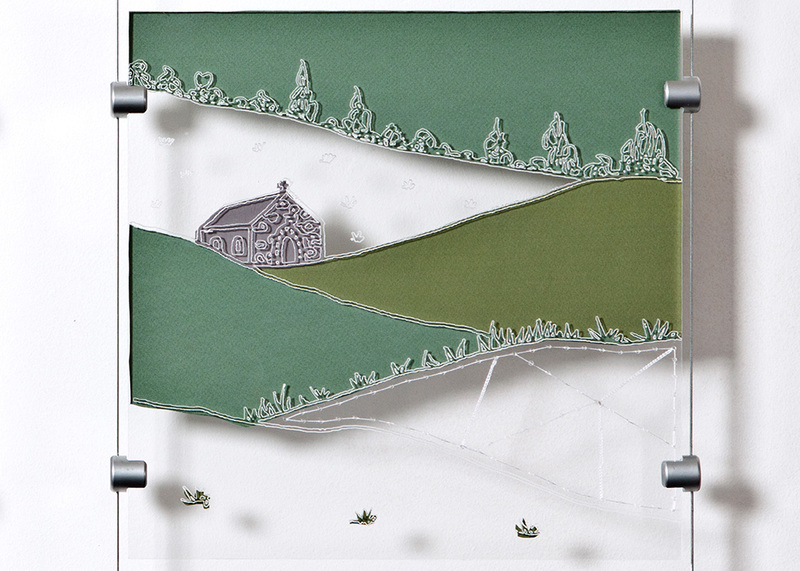 Handmade lace and other textile elements were trapped in between the 2 panels. 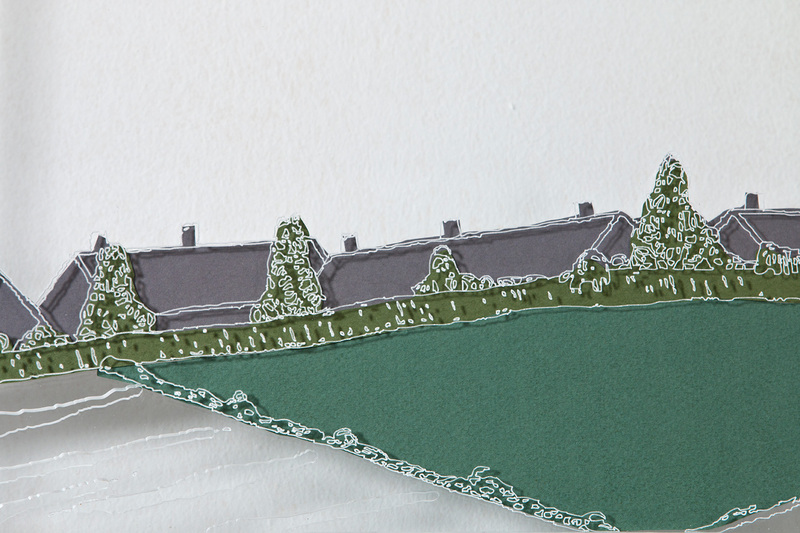 The linear quality of the lace acted as a unifying element to connect the engraved lines of the drawing. One of my main aims was to highlight how traditional textile making can interlink and co-exist with modern technology and also, to re-define the role of handmade lace within a contemporary and visual arts context.